Summary: Dreams can facilitate deeper insights into client issues (or our own), often quite rapidly. This article presents several techniques for working with dreams and case examples. Widening our definitions of reality to include phenomena which are regularly perceived by the unconscious can help us find the path back to the self at a soul level. This is true even if these phenomena are discounted by the conscious mind. Dreams provide a valuable perspective on this journey and their messages are available to us on a regular basis. In order to decipher those messages, we must allow the defenses of the conscious mind to rest. This allows us to use its acuity to organize the information we are receiving in dreams. By using hypnosis to gain access to dream images generated during sleep, we can perceive that we are actually developing a relationship with profound and utterly personal guidance. Dream images become reports on our evolution toward understanding and reuniting with ourselves at a soul level. They point out areas where we are blocked in that journey and they mark breakthroughs in our efforts to know ourselves more completely. 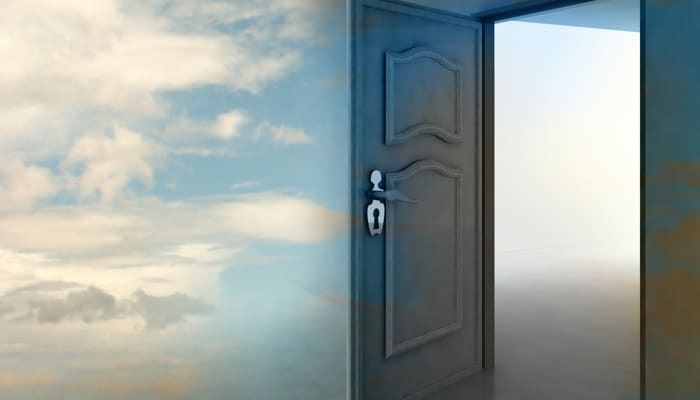 I use dreams as a door to the psyche when I am working with people who are fully involved in the process of transformation. I find them to be one of the most direct routes into core issues. They quickly highlight the anatomy of the separation from the self at a soul level. There are many approaches to deciphering the meaning of dreams. Some of the most effective begin with returning to that state just between waking and dreaming through hypnosis. Once one has arrived at this state, which Robert Bosnak very descriptively calls, “the littoral zone” (like the shoreline, it is place between two very different modes of existence), the work can begin. In hypnosis, I ask the client to retell the dream he has just told me in a conscious state. Inevitably, more details emerge in the retelling, and new connections are made between the patterns in the dream. I will relate a dream here in order to demonstrate the various methods one can use to understand the images in the dream. These methods help bridge the gulf which separates us from our authentic experience of ourselves. I will refer to this dream at different points and use its elements as examples of ways to understand a dream at different levels. This dream was dreamt by a client I will call Patti. During our initial lengthy interview, Patti never mentioned her family of origin. She never mentioned the way her parents had interfered with her ability to contact herself at a soul level because she was completely unconscious to the way they contributed to her sense of dis-ease. She came to me because she just felt something was amiss and because she had vague feeling of fear. After the initial interview, I had few clues as to where to begin based on the information she had given me. This information mainly circled around, but never fully touched, this feeling of vague anxiety. Everything she related to me seemed relatively rosy. Even though I can usually intuit the message behind the words, I did not guess the degree of discomfort which lay behind her competent, sweet demeanor. Patti dreamed she was moving into a new house in a far away land with jungle all around it. The person who had her father’s job before him had left the family the house. She found an arbor which she imagined planting beautiful vines on, but her mother told her that this was a very bad idea and that she had different plans for the place. She walked around the yard and beautiful women emerged from the jungle. One took a ceramic heart from under her petticoat and handed it to her. She noticed it was broken. Her father was furious that she had accepted the gift, saying, “You don’t know what it is, it could be a work order to go work in a far away city which would be terrible.” At that, she imagined going away and working in a far away city and it did not seem so bad. She fell asleep in the arbor that her mother had decorated her way and awoke to find a crocodile emerging from the jungle, ready to attack her. She ran inside and jumped on a table. Her mother jumped on a different table. She was reaching down to bring her beloved dog up on the table with her when the crocodile’s jaw snapped shut. She awoke in a state of terrible fear. This idea of becoming an object or a person in the dream is borrowed from Gestalt therapy, but it takes this idea one step further. In that system, it is a powerful technique for gaining information about one’s projections about one’s identity onto objects or people in the environment. But all the information is still reflected back on the identity which ultimately needs to change in order for true growth to occur. No doubt, there is much useful information which can be gained from this type of exercise. However, if the objective of this type of work is to grow as completely as possible into one’s native sense of self without defenses, projections from the false self become meaningless. If the work is successful, there is no longer the identity of the false self to reflect back on. This is because, hopefully, our identity changes from moment to moment as we rearrange our sense of self to be in fuller alignment with our self at a soul level. There is really no point in augmenting a perception of an identity that is only useful insofar as it highlights the degree of separation we are experiencing from ourselves at a soul level. By actually transforming our identity into the object or person through hypnotic suggestion and guided imagery, however, we can have an actual experience of a new identity. This is because we leave our identity of the false self and its defenses behind. This must happen if we are to step outside the traps and walls we have created for ourselves, for whatever reason; these walls tend to limit the breadth of the experience of the native self. The process is especially effective if the transformation of identity is into an object or person or image which is a product of our own subconscious. There is no denying its reality, and there is no denying the information gained from this exercise. Sometimes the images are coded in such a way as to need some deciphering. It was clear to Patti that she would be sad that her dog had died. Yet, by entering into the image of the dog through feeling, another level was revealed. That had a much more profound effect on her self-understanding. When I asked Patti how she felt about the dog, she said he was her constant companion and that she loved him more than anything else alive. She said that he was “like a part of me.” By returning to the moment of losing him, and using the feeling this produced as an affect bridge, she was able to touch another situation where her mother was, by her deed and words, killing a part of her. She was able to experience this death in an undefended way. Therefore she was able to understand the origin of the pain of separation from herself which her mother had engendered. By allowing herself to explore the anatomy of this separation in dream images she was able to explore all of the places this pain of separation from herself had affected. This allowed her to touch her own life force again. This level of self-understanding could not be reached simply by talking about the psychodynamics of her anxiety. This is because 1). the entire reality of this separation is unknowable at that level since the defenses of the conscious mind have necessarily been tightly kept in place and 2). even if this reality were hinted at through psychodynamic conversation and dialogue they would provide few mechanisms to shift away from the old paradigm. The technique of using an affect bridge – that is, connecting situations, times or places through the common emotion they share – is used by many hypnotherapists. This is usually used to travel from a conscious state to an unconscious state. It is a very effective way to access information which is hidden to the conscious mind. The conscious mind generally tends to categorize events chronologically or through “rational connection.” For example, it might state: “That brown dog looks like the brown dog I had when I was six who was run over by a car.” In that statement, rational or logical connection accomplishes what it often does: it leaves out emotional color as a protective device. An affect bridge might connect the following statement to a set of core issues around sadness. By translating “When I wear that brown sweater, I feel sad” to “The brown color of the sweater brings me back to the moment my dog was run over. It connects me to the pain I felt but would not let myself express because my father was there. My father never let me cry, and there is a well of sadness which has been unexpressed all these years.” In the actual clinical situation, these latter statements would only emerge after the emotional release the contact with sadness engenders. Usually, this can only occur when the sadness is encountered without the defenses of the conscious mind. This emotional release would most likely connect to other emotions behind the sadness. And so the journey to self at a soul level reveals itself at deeper and deeper levels. This way of using an affect bridge, or emotional release, to travel from a non-conscious state to a conscious state is even more powerful than using it in the reverse direction, which is more common. This is because it circumvents even very tightly-held defenses; it allows us to come in the “back door” of conscious experience. I am quite sure that if this person had been working in conventional talk therapy, it would have taken months, if not years, to access the information we were able to touch in a few sessions. This is because her conscious defenses were necessarily, because of the deeply-held pain, so well polished. In a psychodynamic situation, the dialogue about the sweater could have easily stayed at the level of interaction we have when talking about the weather. Another technique similar to the affect bridge in connecting dream images to the experience of the larger self is the body sensation or reaction bridge. Here, the physical reactions present themselves spontaneously without the introductory aspect emotional response provides. Often, the physical reaction will lead back to the emotion, rather than vice versa as with the affect bridge. Many talk therapies overlook the wisdom that is held in the body, believing that the mind is the only place where information about emotional imbalance can be obtained. I have found that the body is, first and foremost, a field of integration of experience. By listening to physical symptoms, we can uncover experience we once thought lost to us. The conscious mind cannot erase that which the body experiences. It may try to ignore it, but information remains accessible simply by opening to physical reactions or sensations. Many times, dreams will allow us to enter into fully visceral experiences of often-negative emotions. We would never allow ourselves to experience these with our conscious defenses in place. Patti woke up in terror from this dream. In waking life, she never allows herself to experience this level of fear. It would be too overwhelming to her self-reliant false self, which she needs because she has found no other way to deal with the terror she holds within her. The dream can produce emotions in us that we don’t allow ourselves to acknowledge in a waking state. These unexpressed emotions are the building blocks of the walls we use to separate ourselves from experience at a soul level. The dream images manage to bring us back into connection at this level while the false self is literally sleeping. This allows us to explore and integrate them into a larger, more balanced sense of self. On the one hand, the types of coping mechanisms that are sleeping while the dreams weave their messages are absolutely imperative. They allow us to maintain sanity in an insane situation. For example, children who are subjected to constant abuse of any kind by their family dynamics cannot afford the luxury of being fully conscious of the pain the abuse is producing within them. However, once the “insane” situation is over, once the child has grown so he can begin to operate outside of the sphere of the family dynamic, it is important to allow a shift. This shift must occur in the coping mechanisms or defenses which were created to deal with the dynamic of the “insane” situation. This allows us to maintain a clear channel of information streaming in from the new circumstances in which we find ourselves. If there is no shift, we are unable to clearly understand new information. This is because we are constantly cataloging our experience through our defense mechanisms to past situations rather than perceiving new information objectively. The defense mechanisms must also shift in order for us to maintain clear contact with the self we are trying to preserve by creating them in the first place. Unfortunately, this dissolution of the coping mechanism does not always occur spontaneously when the situation it evolved in does. All too often, it tends to take on a life of its own. We find ourselves creating layer after layer of karmic involvement in our attempt to contact the emotions which the coping mechanism just as actively continues to keep us from experiencing. Unless these emotions are allowed their true and authentic experience, we are drawn further and further away from the possibility of a direct and authentic communication with ourselves at a soul level. In this case, by gently bringing the dreamer back into the full visceral experience of terror in hypnosis, she was able to unravel a whole series of events where this terror had crippled her ability to cope. By reliving the genesis of the crippling terror, she was able to begin to, figuratively, walk again. The dream allowed her the opportunity to heal that which her conscious defenses could not understand or allow. There are at least two general categories of images or symbols that emerge in dreams that provide information at different levels of understanding. These two categories are archetypal images and personally-understood symbols. The term “archetype” was coined by Jung to describe the same images which he found recurring again and again in different patients’ dream lives. These images often refer to realities that are present at the soul level that all people share, which he calls the collective unconscious. Jung points to archetypal images as containers of vast amounts of information. These images span the realm of the collective unconscious of which dreams are but one emergent phenomenon. Because they are shared, archetypal images can be read from person to person and dream to dream in the same way. Personally-understood images are only relevant in their relationship to the personal meaning of the symbol within the person’s own psyche. Images regularly cross the boundaries of these two categories. Nonetheless it is important to keep this possible distinction in mind. The function of archetypal images contrasts with the function of more personally-understood images. I have found that when archetypal images emerge, they are indicative of a major shift in consciousness. The more personally-understood images can also function in this way, but generally, they deal with the understanding of ourselves at a more quotidian level. Personally-understood images can be compared in their function with the images of the minor arcana of Tarot cards. This is because they deal with our personal situation. Archetypal images can be compared with the images of the major arcana. This is because they are concerned with our interaction with forces greater than ourselves. In practice, it is useful to explore dream images from both standpoints. This is because, as mentioned, these images have a habit of shifting category. In this dream, the jungle – a wild and unconfined place, much like the subconscious – is a classic archetypal image. In this case, she did feel like the jungle was wild and unconfined, so the archetypal reading of it is valid here. However, she could have grown up in a jungle and found it to be a safe haven; in this case the classic archetypal meaning would have led us away from the path of understanding rather than toward it. This is why it is so important to check the nature of archetypal imagery against the language of each individual’s subconscious. Beyond the information gained through the affect bridge, the body bridge, the use of archetypal and personally-understood symbols and the transformation of identity, dreams can provide more maps. These are maps to some of the issues which contribute to the way in which a person has been separated from his sense of self. These guides are especially valuable when someone has had to deeply sever connections to the self due to severe abuse. Through Patti’s dream, I was given concrete information about the severity, genesis, and depth of her dislocation from herself in a few sentences. However, although this information had been lost to the conscious mind, the unconscious mind had preserved it in a way which needs only a little understanding to decipher. I could never have gained this information by asking her about her relationship to her birth family, because she was totally unconscious about this information herself. I wonder how long it would have taken us to get to the level of self-understanding she touched through this dream in one session through more conventional talk therapy. This dream amply demonstrates one of the most remarkable aspects of dreams: that one can understand them at constantly deepening levels. One dream is almost like a series of fireworks. At different levels and places in the dream, there are always new bursts of light one had not seen before. I have given up all hope of ever getting all of the information available in any one dream. This is because there are constantly new ones to delve into and because I am limited by own ability to see and understand. Dreams have a way of providing us with exactly the kind of information we need if we can just allow ourselves to open to them. The following is a description of just one dream, the only one John remembered in two years of working together. It appeared at a time when no other experience could have provided him with the inspiration to continue in the sometimes difficult work of confronting pain honestly. John came to me originally because he had been diagnosed with severe dyslexia and anxiety. He had been seeing a psychiatrist for several years and had been taking the drugs prescribed by him during that time. But his symptoms had not appreciably improved. He was hoping that hypnotic suggestions could help him with the symptoms involved with the label of dyslexia. John decided to try to confront whatever was at the source of his imbalance rather than settle for simple, external hypnotic suggestion. I asked John to go back, in hypnosis, to the time to when he was first aware of the problems he was experiencing. What followed was many months of twice-weekly meetings where he uncovered layer after layer of abuse, including physical, sexual, and ritual abuse. I had always asked him to try to remember his dreams to see if they could offer more information about the state of his internal dynamic. For months, he could report no dream recall whatsoever. Then, one day, after several sessions where he had been unable to continue what he called the “dredging” operations, he reported a dream. This dream marked the shift in his journey back to wholeness. At first, he was reluctant to recount the dream because he thought I would think he was being conceited. When he did recount the dream, I helped him to see how clearly it signaled a new sense of identity in formation. The dream was actually very simple, but it was packed with many symbols which were intimately relevant to John. Mario Andretti sees John driving and declares that John is Benito Andretti. John knows without a doubt that this is true. T: Who is Mario Andretti? C: He is the greatest racing car driver in the world. T: What does being the greatest racing car driver mean to you? C: It means that you can do anything. I have always been drawn to racing of any kind. C: Because it means winning, setting records. You are out in front, no one can touch you. You’re the first or else you can get better and you can always improve. You are free. Free! T: Who is Benito Andretti? C: He was Mario’s little brother who disappeared under mysterious circumstances at the age of 2, or maybe even younger. H: What would it mean if you were Benito, Mario’s little brother? C: It would mean that I would be part of a big, loving Italian family. The family I always wanted. A family which is really alive and where people interact with each other in a real way. A family which sits down to dinner together. T: What else would it mean? C: It would mean that I would have someone to learn from. Someone who knows more than I do and who could give me the information I need. T: What was it like to know that, without a doubt, Mario’s assessment of you was true: that you were Benito Andretti? C: I just knew it was true. I knew that I was a great race car driver, that I could drive any kind of car in any kind of race. I knew that I was related to Mario. It was undeniably true, unshakably true. There was no doubt in my mind that Mario was right. This simple dream was very significant to John’s ability to go forward with the recovery of his sense of self. It filled many of the voids he had been feeling in himself. He knew, without a doubt that he could handle any car in any race (the symbolic connection to life’s situations is more than graphic). He knew what it felt like to be part of a loving family (that he belonged to a greater, beneficent whole). He knew he would have Mario to learn from, to help him improve ( that it was possible to go forward with his journey to himself and that he would get the help he needed). It is significant that Benito disappeared under mysterious circumstances at a very young age – at about the same time John believes the abuse started. It is also significant that in the dream he has now reappeared. And his return has been validated and confirmed by someone who is admirable, respectable, and believable. The most wonderful gift that the dream gave John was a sense of utter certainty which he was able to carry over into his waking life. This is something that he had been seeking desperately throughout his life. But this was especially true since he had begun to uncover the memories of abuse. This certainty of his ultimate success is what has brought him through the next level of his recovery. I am quite certain that he would have found it much more difficult to continue and his process would have taken much longer without the insight this dream provided. So far, we have looked only at how individual dreams can point to greater realities within our psyches. But there is much information which can be tracked from dream to dream. This tracking reveals ever-more deepening patterns which can bring understanding to the issues we struggle with in conscious-mind reality. Robert Bosnak has come up with a remarkable method of tracking this plethora of information from dream to dream. By using his methodology, we become aware of the parallel universes we live our lives in. We also become acutely aware of the patterns and connections between the worlds and the way in which they inform one another without our even realizing it. His method involves the juxtaposition of similar images across a series of dreams. This is an innovative technique which creates a map to travel through the psyche even beyond the realm of dreams. This method for individual dream mapping, which I use in my practice, traces the following steps. I use all of them in mapping my own dream life, but I may only use the information gained in one or two of the steps in any given hypnotherapy session. A basic outline of this method is as follows. For a more in-depth set of guidelines, I strongly recommend his book, Tracks in the Wilderness of Dreaming. * Record a series of dreams in a journal. * Make a foldout of twenty to fifty dreams by taping them one next to the other, numbering each one and noting their chronological order. * Create an infrastructure by making connections and marking similar images across all of the dreams with the same color of colored pencil or marker. * Identify clusters: look for themes and bring all the images in each cluster together. Create a separate document for each set of clusters. * Muse over the life of the cluster – indulge in free association with the images contained in each of the clusters. * Reminisce with some of the images and see what conscious memories the images evoke. * Write along with cluster’s chronological format: Use one description paragraph for each element or image in the cluster, then rewrite it expanding the meaning of the image, drawing connections between conscious life as in the reminiscence. * Use the material generated in the previous steps to write in various genres, i.e. a poem, a story or a dialogue, depending on what suits the text. Weave things that the story reminds you of into the text. These are amplifications which will bring significance to the surface because the dream images will bounce off the surface of similarity. A contrasting story can also be woven into the text, dialogue or poem. * Let the work rest and come back to it about ten days later and see what condensation of narratives and comparisons you can make. Switch clusters around and see if this provides new light on their images. A very brief illustration drawn from a series of ten dreams I dreamed over a six day period illustrates this process. The mark “//” defines a separation between dreams. The following is an example of steps one through four. This is a cluster of images drawn from about ten dreams along the same theme of: Foreign countries and languages, new places. I do a lot of traveling in my dreams – as I have in real life. On the one hand, I like being an ambassador of sorts for these Russian type people, but on the other hand, I don’t like them much. This seems to be true of the way I feel about people (including myself) in general, which I rarely let myself admit. These people from all over the world – the developing world in particular – are so desperate. I wonder why I am so lucky not to be like them, but I am determined never to be like them – so powerless and helpless. Is this because I feel I really am powerless and helpless in spite of my developed-world pedigree? This Turkish (sometimes Persian) taxi or bus driver figure keeps popping up – sort of the guide who says he knows everything, but does not know a thing. I want to believe him, but know I am fooling myself if I do. It is interesting that a Turk would be concerned about time – which seems to be an abstract in that culture. Maybe that is another reason I wonder if he is Turkish – besides the blond hair and blue eyes. The people on the train are quite a mix. The Germans are so irritatingly superior to everyone, but the Spanish guy feels superior to the Central Americans and does not like me poking fun at his “th” for “s.” Everyone in Europe is always trying to feel like they are better than another nationality. I am with the Serb, who is at the bottom of the heap at this time, and yet I address the Germans with du. I have always enjoyed breaking the social rules in Europe – doing something totally shocking (but really very minor) to the mores and rules of the silly hierarchies the Europeans have created. They are comical in their self-importance. Am I? I had no idea my dreams were so filled with far away places. My constant yearning to learn new languages, understand new cultures may be the way I express the need to know all the aspects of myself. This particular set of images taught me a lot about my feelings, which I often don’t allow myself to act on. In particular, I try not to act out of the negative point of view I have about Germans or even admit that I do have a negative view of Germans. But these dreams do not let me hide from this part of myself. I used this information to look at what it is I find so distasteful about Germans. (I had to face that I think all Germans are Nazis, which is a prejudice I would not consciously admit to myself.) I had to find those places within myself which reflected the need for this type of outward-directed prejudice. It was like a pheasant hunt: flushing out the hidden hatreds I direct at Nazis and seeing how I direct the same type of knee-jerk, negative judgments at myself. And then, most painfully, I had to face the damage I do to myself in this process. This series also amplified my rebelliousness when caught in social hierarchies. This helped me look at the ways in which I am limited by my acculturation and find the ways in which this has crippled my relationship with my self at a soul level. Also, it let me see my deep fear of being powerless as those in developing countries are; I realized I often mask this fear with “acts of kindness” toward people from those countries. Surely, there is compassion in those acts, but I was forced to really see that the fear that I am powerless like them drives me to these acts of kindness. This is all information that I would not willingly look at because all of it tarnishes the persona of goodness I want to project into the world. But only by embracing these issues can I be truly myself in an authentic way. I doubt I would have access to this information without dreaming because it never would have gotten my past my conscious defenses to these realities which do not allow me to pretend I am always good and kind. However, I also learned first-hand and experientially how to look into images and have the information emerge in a completely non-rational way. The experience with the Russian-like language taught me a lot about the process that provides information without using the loop of the rational mind. I definitely would not have had access to the mechanics or experience of this process through the tools available to my conscious mind. And this information is utterly invaluable in my line of work. This work relies so heavily on the dynamics in which information emerges through non-logical channels. This type of information is not available to the conscious mind because of its reliance on logic to organize phenomenon. By combining the techniques discussed in the first part of the paper with those developed by Robert Bosnak, we have access to an almost infinite amount of information. If we could spend our days understanding our nights, we would emerge infinitely stronger and wiser – if our conscious defenses could bear this challenge to their domain. Needless to say, much of the information available to us through dreams would be lost without the tool of hypnosis to aid in the retrieval of the information. It is almost as though the dream is the ore, hypnosis the smelting process, and self-understanding at the conscious level is the ingot. By allowing the information contained within our subconscious to interact with that which is held in the conscious mind, we are made whole in ways we cannot imagine when we are lost in either the unconscious or the conscious mind. Hypnosis is the bridge between these worlds and the way it allows each to inform the other is an extraordinary path to self-knowledge.